Guatemala said in a statement on Sunday that it did not promote or endorse "irregular migration." "We're going to drop in on Donald Trump. 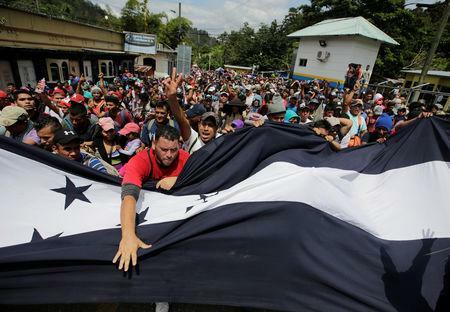 He has to take us in," said Andrea Fernandez, 24, who left Honduras with a newborn baby, a 5-year-old daughter and 7-year-old son because she said she could not find work and feared for their safety.